Our mold remediation technicians at Express Emergency often deal with kitchen mold damage caused by plumbing leaks. Since we are a “one-stop shopping” cleanup and restoration company, we can save our customers money, unnecessary legwork seeking multiple contractors, and even work closely with insurance adjusters to stay within budget. The controlled demolition of this Boca Raton kitchen, done with containment barriers to prevent cross-contamination, exposed the plumbing for repair. We then dried out any lingering moisture after we disposed of the ruined building materials including the pink insulation. Our Express Emergency technicians then disinfected the wall cavity with an antimicrobial spray that also contained a deodorizing agent. 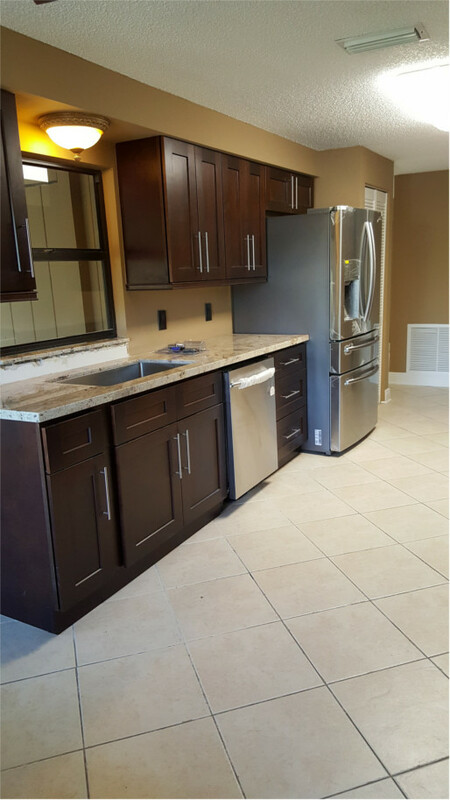 Our happy customer was very pleased to select new countertops, a sink, cabinets, and appliances which we are almost finished installing in the second photo. 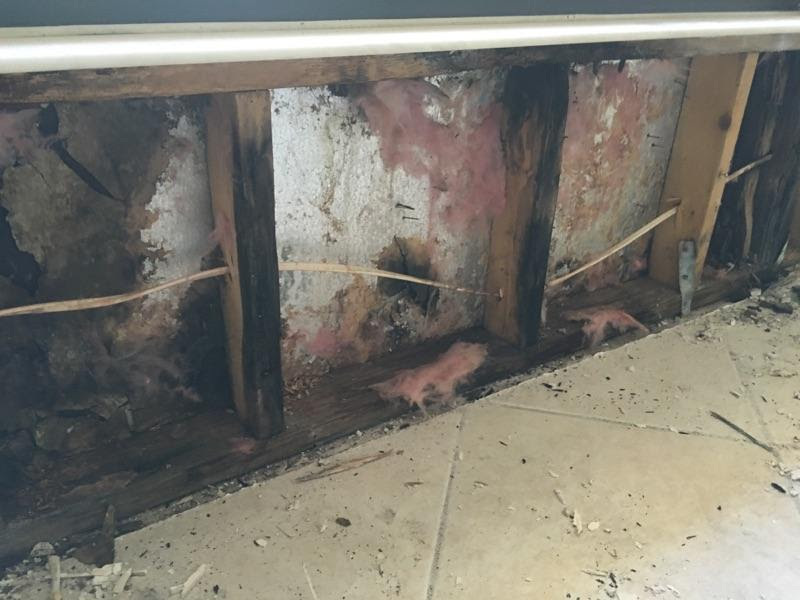 For a stress-free and professional mold remediation and renovation turn to Express Emergency in Boca Raton by calling 561-513-5977.